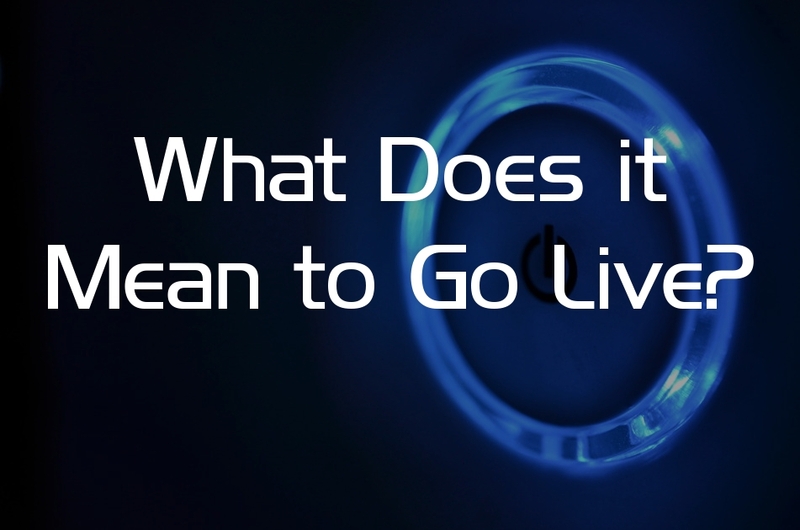 What does it mean to go live? In the web world, we all want to hear the phrase “Let’s take it live, “ but what does that really mean? In semi-technical terms, it means changing the “A” record in the DNS settings. The A record is the primary record for a domain name (i.e. churchwebfuel.com). At least for the way we setup our servers, it is that easy. For others, they have to copy files and rename folders and pray that their developers used relative links and not hard coded everything. When it is done correctly, whenever you enter a URL, the DNS matches it up with the IP address of the server that is hosting the website and your browser loads the site. Now there are some interesting facts that one should know about going live. The most important one is that it is not instant. In the best case scenario, it may take about 15 minutes. In the worst case, some DNS server takes up to a week to fully update the changes. Thankfully, we invested in Tucows (similar to a GoDaddy service) and typically experience 15 minutes or less on the DNS being updated. Just because you can see the new site, it does not mean everyone in the world can too, especially if your browser is caching the DNS. OK, you went live, but let’s say you forgot to copy over content from the old site, but you didn’t realize that until after the new site went live. If you don’t have access to that server anymore, then there is a little trick to get around it. It is called the Host file in Windows. You can modify the Host file and gain access to a site on an old server. If you don’t have a PC, then you could use TheWayBackMachine.org. It keeps archives of millions of websites. It is another great tool to have when you go live and forget to move over some content.